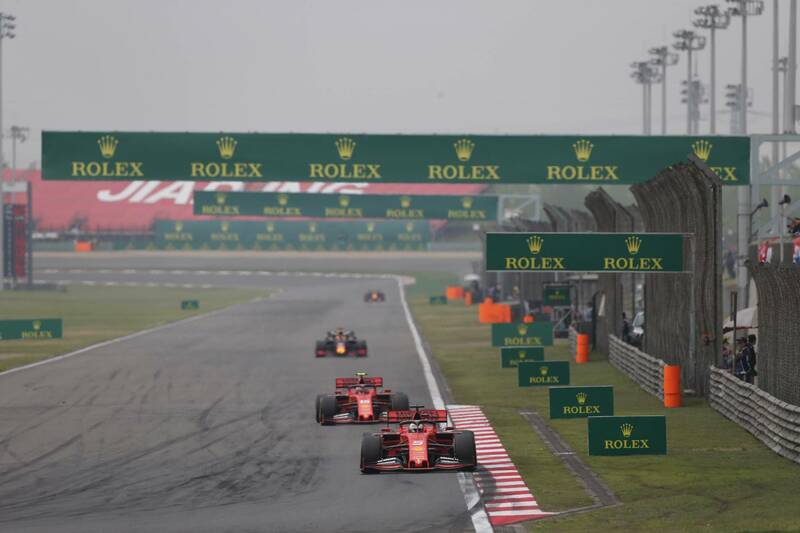 For all of the hype surrounding Formula 1’s 1,000th world championship race, Sunday’s Chinese Grand Prix turned out to be a fairly forgettable affair. Save the team orders tensions that sparked at Ferrari as Charles Leclerc continued to put pressure on Sebastian Vettel in the early days of their teammate partnership, it looked on paper like Mercedes simply waltzed away at the front, easing to its third straight one-two finish. But Ferrari did not go down without a fight in Shanghai. It’s just that fight was mismanaged and, with Leclerc, ill-planned, meaning it spurned yet more precious points two weeks after its Bahrain meltdown. Mercedes broke out of the blocks early, making its strength on the Mediums – touched on in yesterday’s qualifying analysis – tell in the opening stint. Lewis Hamilton and Valtteri Bottas were able to quickly open up a gap to the Ferraris behind, crucially escaping the one-second window for DRS before it became active. “I believed that their straight-line advantage, especially on the opening laps, would be a danger for us, and once DRS was enabled, even more,” Mercedes team boss Toto Wolff acknowledged after the race. As Hamilton and Bottas put in a rapid early stint, Leclerc was unable to keep up, the gap growing by around half a second per lap. With Vettel clamouring behind and getting within DRS range, and with the Red Bull of Max Verstappen looming ever-larger in his mirrors, Ferrari knew it had to get a move on. Leclerc was given the hurry-up, but with the gap to Vettel remaining steady, Ferrari gave the call to switch positions. Its execution was a little clumsy, with Leclerc slowing right down at the end of the main straight into Turn 1, meaning the move cost 1.6 seconds to the Mercedes at the front. By this point though, the damage had been done. Vettel’s tyres were already cooked after running in Leclerc’s dirty air, meaning he could not catch the Mercedes in front, and the door had already been opened for Verstappen to latch onto the rears of the Ferraris. So should the switch have in fact been made even earlier? “It’s always difficult to judge,” Ferrari chief Mattia Binotto said. “I think what we tried at the time, we tried everything we could not to lose time on the Mercedes ahead, and that was the only chance that we got at the time. Verstappen and Red Bull sensed an opportunity to put pressures on the Ferraris, prompting them to come in to the pits at the end of Lap 17 in a bid to get the undercut. As Verstappen was within four seconds of both Vettel and Leclerc, Ferrari was snookered. It had to sacrifice one of its drivers to protect the other – and it sacrificed Leclerc. 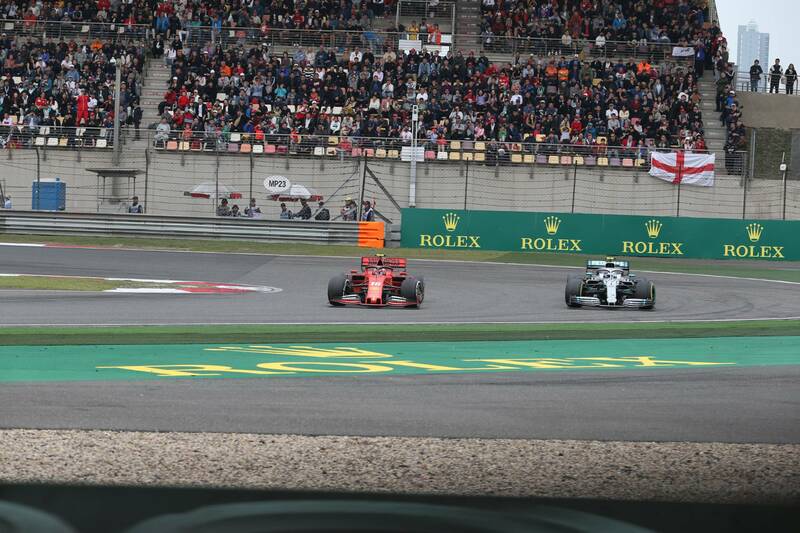 Vettel pitted on Lap 18 to cover off Verstappen, just about staying ahead after they went wheel-to-wheel at the hairpin, but Leclerc did not follow suit one lap later to stay in touch with the fight. He was instead kept out longer - Ferrari reasoning that this would give him fresher tyres later in the stints - but in only the four extra laps, Leclerc’s gap to Vettel fell from 20.2 seconds to 5.8 – a swing of 14.4 seconds. That all but ended Leclerc’s hopes of finishing on the podium (or, really, even beating Verstappen), but there appeared to be some logic to Ferrari’s thinking as he started taking chunks out of the gap to Verstappen. Just three seconds back with 20 laps to go, recovering the position was not out of the question. Once again though, Red Bull played a strategic blinder. Pre-empting a possible undercut from Leclerc, the team called Verstappen into the pits at the end of Lap 34, fitting him with a fresh set of Medium compound tyres. Yet again, Ferrari moved to cover Verstappen – and yet again, it favoured Vettel first, despite an 8-second buffer that seemed fairly comfortable. He came back on-track without losing any time to Verstappen, and easily peeled away through the final stages of the race. Toto Wolff said after the race that Mercedes opted for a second stop with both its drivers for fear of Vettel gaining on the undercut, prompting the brilliant double-stack stop so brilliantly executed by the mechanics, who serviced Hamilton and Bottas in quick succession. “We wanted to avoid the undercut by Sebastian,” Wolff said. “We wanted to make sure that Valtteri wouldn’t lose out of pitting, and Lewis wouldn’t lose out of pitting against Valtteri. That’s why the stacking was the only solution, which is an extremely tricky manoeuvre. Ferrari’s second stop for Vettel may have given it a chance to try and catch the Mercedes drivers ahead – the gap to Bottas stood at six seconds – but in reality, it was borne out of necessity to cover off Verstappen. Alas, there was still one final chance to try and stop another one-two for Mercedes. Leclerc had been left out there once again, with Ferrari evaluating on the fly whether it was best to try and get him to one-stop to the end – possible, as proven by Sergio Perez and Alexander Albon’s successful one-stop strategies, both of whom made their first stop earlier than Leclerc – or to come in for a second stop. The hope was that he would hold up the Mercedes drivers, but Hamilton was able to come out of the pits still two seconds clear, making Bottas the only catchable driver. Leclerc tried his best for a lap to keep the Finn back, but was powerless to stop the overtake. Vettel gained only half a second. Once again though, the damage had already been done to Leclerc’s race by the time he came in at the end of Lap 42 – eight laps after Verstappen. The gap to the Dutchman grew to 15 seconds once again, and while Leclerc managed to whittle that down to four in the final 13 laps, there was never any real chance of him getting the position. He couldn’t even gun for the fastest lap, picked up instead by Red Bull’s Pierre Gasly in sixth. The team orders debate at Ferrari is one that has been predicted ever since Leclerc was named as Vettel’s teammate for 2019 back in September last year. But as that played out on the pit wall, confusion appeared to reign over the strategy calls when it came to Leclerc. Whether it was the right call to make Vettel and Leclerc swap places on Lap 11 is up for debate. But there appears to be little reasoning for why Leclerc’s strategy was so haphazard, so chaotic; a halfway house between playing the long game and sticking to the original plan. And that is what Ferrari really needs to question in the aftermath of today’s race. Because while it may only have cost the team two additional points for P4 today, such indecision could be far more costly once it gets its act together.